The spike in inflation following Britain’s decision to leave the European Union has contributed to cash savers being left hundreds of pounds out of pocket, according to latest research from Scottish Friendly in conjunction with the Centre for Economics and Business Research. A combination of rising inflation and the Bank of England’s decision to keep interest rates low to stave off a Brexit-induced recession have caused the value of cash savings to dwindle over the past two years. Calculations carried out for Scottish Friendly show savers who deposited their full allowance of £15,240 into a cash ISA in September 2016 – three months after the Brexit vote – have seen their pot grow by just £225 to £15,465 (see Figure 1). However, due to the rising cost of living, the real value of that money has actually diminished by 4% to £14,620 over the past two years. After accounting for inflation, this equates to a real annual interest rate of -2.1% over the period, equivalent to a total loss of £620. By contrast, had the same amount been invested in a stocks and shares ISA-tracking the FTSE All-Share Index instead, the saver would have gained £2,344. Even adjusting for inflation, an individual who invested in a stocks and shares ISA would be sitting on a savings pot worth £16,623 in September 2016 prices – a real return of 9%, equating to an annual interest rate of 4.4%. While the returns from cash savings over the past two years have been meagre, they are slightly higher than those yielded by instant-access savings accounts. A sum of £15,240 deposited in an average instant-access savings account in September 2016 will have accrued just £64 in interest over the following two years, leading to a real term decline of 5%. In a survey of 2,000 people carried out on behalf of Scottish Friendly, almost half (49%) of respondents said they were worried about what effect Brexit might have on their finances. Only 26% of respondents said they were not worried. More than a third (37%) are worried about their debts, while more than a quarter (26%) feel they have less money at the end of the month after paying for essentials than they did a year ago. This reflects the squeeze in living standards being felt by many households in a climate of weak wage growth and high inflation. 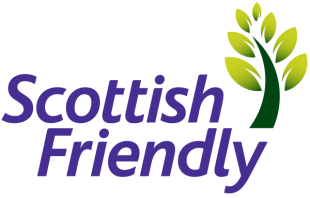 Calum Bennie, savings specialist at Scottish Friendly, said: “Just when savers thought things couldn’t get any worse, the Brexit vote happened. This contributed to rising inflation – the silent killer of savings – and meant that the value of any money in poor-paying cash accounts was gradually eroding. What’s worse, most people will have been unaware that their savings were slowly becoming less valuable.